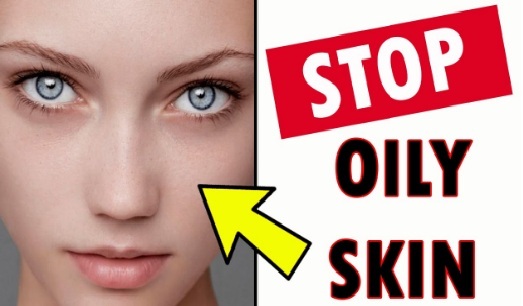 Excessively oily skin is not an unusual problem. Teenagers are more likely to have problems with oiliness but some adults have the problem too. Here are 5 ways to get rid of the problem without causing excessive dryness or other issues. Petrolatum and mineral oil are common cosmetic ingredients. They are found in cleansers, shampoos, makeup, hair conditioners, shaving creams and many other products. Because they are not compatible with your skin's own oil (called sebum), those ingredients cause your skin to feel greasy and oilier than it actually is. The cleanser you use needs to be mild enough to prevent causing dryness. In response to the dryness caused by alcohol and other ingredients commonly found in cleansers, your skin may produce even more oil to try to create a balance. Mild cleansers containing manuka honey and kiwifruit extracts are the best choices. People with oily skin may think they should not use a moisturizer, but even mild cleansers can strip the skin's natural oils and stimulate the sebaceous glands to produce even more oil. Even washing with water can trigger the reaction. As long as the moisturizer does not contain petrolatum or mineral oil, it will not cause your skin to feel greasy. Light moisturizers containing grape seed oil work best. There are some moisturizers that contain ingredients known to balance sebum production. They work to prevent the skin from becoming too dry and also from becoming too oily. Maracuja is a passion fruit extract that regulates sebum production when applied to the skin. The better day creams contain the ingredient. Men who shave their faces should use a cream containing witch hazel after shaving. Witch hazel absorbs excessive oils and also helps to prevent infections in shaving nicks or cuts. A deep cleansing mask can help a lot to get rid of excessively oily face skin, if it contains the right ingredients. If it contains the wrong ingredients, it can cause dryness, clog your pores and stimulate your glands to produce more oil. Here are the ingredients to look for and why they work. Although these are the active ingredients, they must be combined with neutral plant-based oils. Otherwise they would be too dry to use on the skin and they could stimulate the skin to produce more oils. In addition to helping with oiliness, the occasional use of a deep cleansing mask will help prevent blackheads, pimples and clogged pores. You can use a mask containing those ingredients every two weeks or so. If your skin is really oily, you may use it every week until you get the problem under control.